We were hooked from the very first series of the nation’s favourite cookery show. 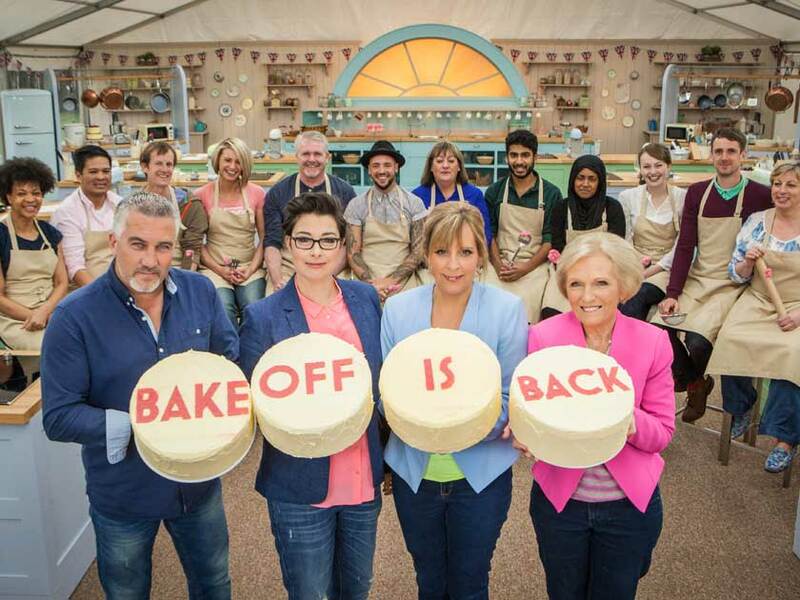 That was five years ago and 2015’s GBBO is back, bigger and ‘batter’ than ever! 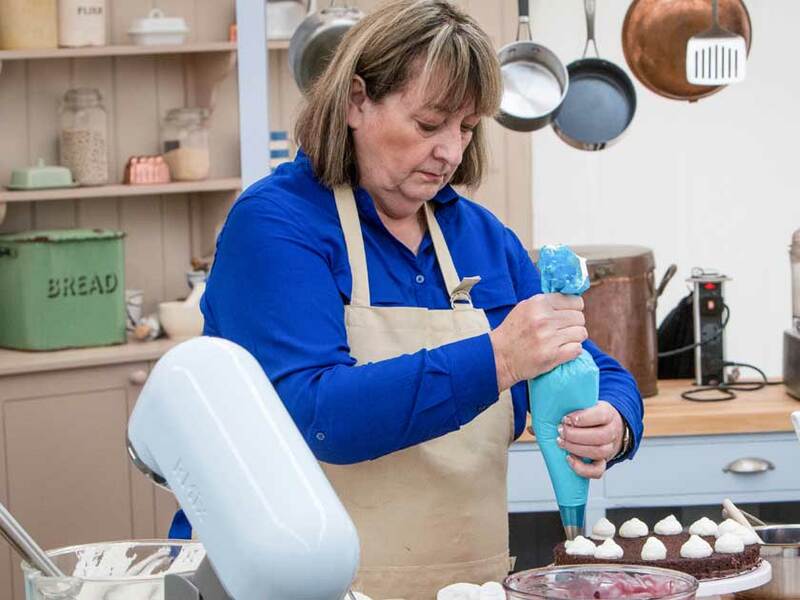 With more bakes than you can shake a wooden spoon at, the contestants will soon be sticking skewers into their sponges and losing it over their chocolate logs. The bodybuilder and firefighter in the line-up appear to have plenty of stamina but will their muscle stand up to the heat of the Great British Bake Off kitchen with the beady eyes of judges Paul Hollywood and Mary Berry watching their every move? 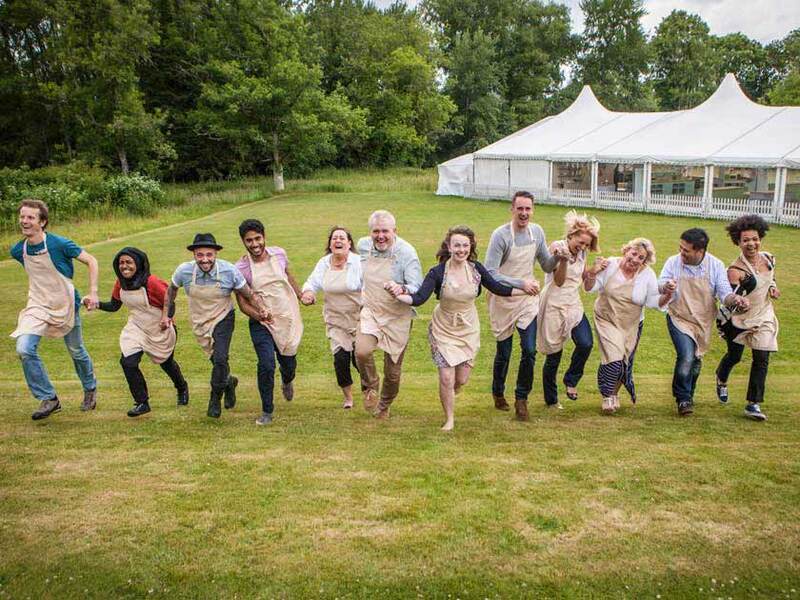 The dozen flour-covered hopefuls causing a stir this year include travel photographer Ian, nurse Alvin, bodybuilder Ugne, history of art student Flora, professional musician Stu, doing her family proud Nadiya, trainee anaesthetist Tamal, firefighter Mat and accountant Dorret. And we’ve already spotted a trio of favourites in the batch. Sandy, 49, is a child welfare officer in Bradford who likes nothing more than baking for her family and friends and running a cookery club for children at a local school. 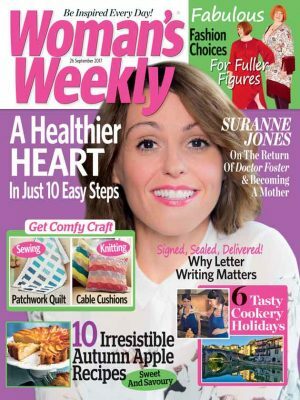 But she admits to the Radio Times, ‘I can be a bit random. I can be making a cake and you’ll have a meat pie by the time I’m finished.’ That sounds like a skill to us, Sandy! 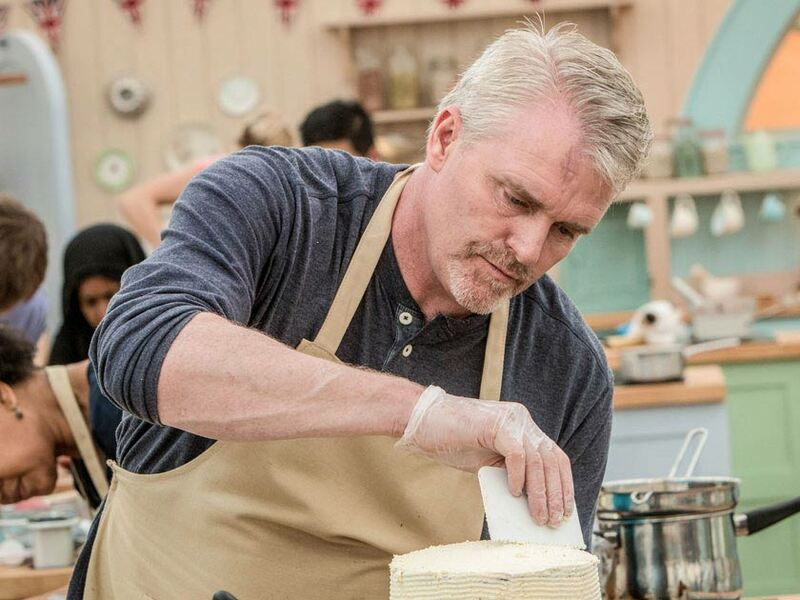 Next up is prison governor Paul, also 49, who’s testing his baking mettle to prove ‘that men like [him], stereotyped by [their] jobs, do and can love baking and that it is a skill and talent to be proud of.’ We couldn’t agree more, Paul, if only we could persuade our men to love cooking too. 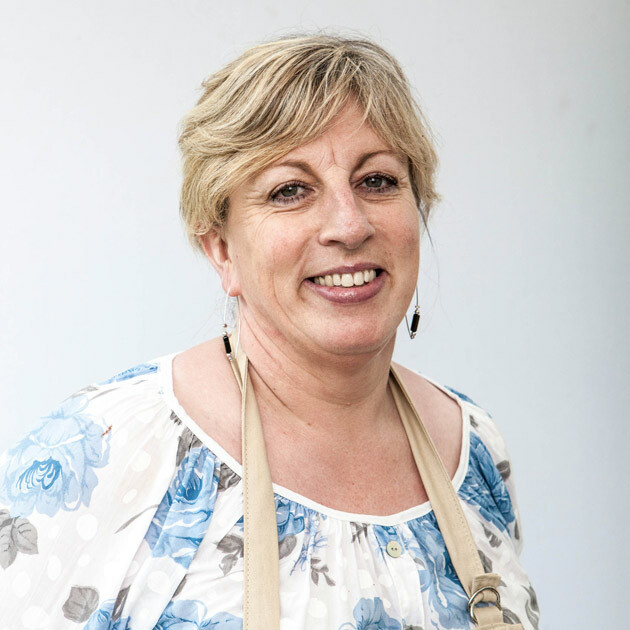 And finally Marie, 66, was inspired to start baking when she moved to Paris 30 years ago. Despite not being able to boil an egg at the start, Marie can now be found baking daily for her grandchildren. That’s the kind of turn around that gives us amateur bakers hope! 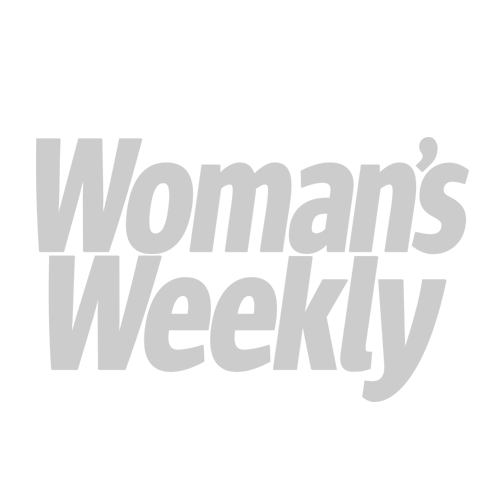 Amongst these new faces, familiar favourites Mel Giedroyc and Sue Perkins will return to host the show. Bringing light relief to soggy bottom disasters and well-timed innuendos to the stiffest of meringue peaks, we can’t wait to see what this year’s ‘bin-gate’ calamity could be! So, buy in the biscuits and get a brew on ready for 8pm on Wednesday 5 August on BBC1. 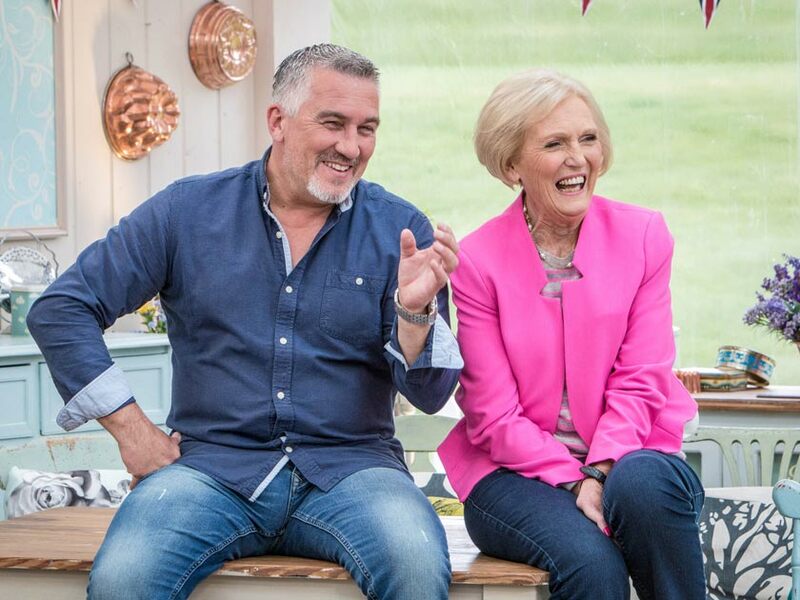 First up it’s cake week, which will see the contestants show off their signature Madeira cake, tackle a technical challenge to recreate a Mary Berry’s frosted walnut cake and finally wow the judges with a show-stopping black forest gateau. And if you can’t wait the week out without picking up your oven gloves and donning your apron, have a go at our delicious walnut sponge and black forest trifle to get you in the mood for The Great British Bake Off.